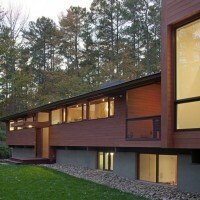 In Situ Studio provided a contemporary redesign to an existing house in Chapel Hill, North Carolina. 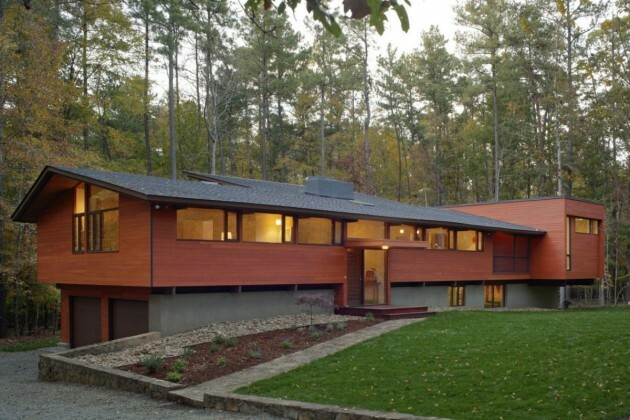 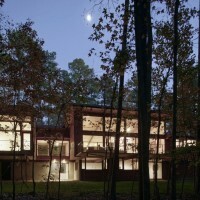 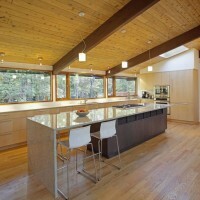 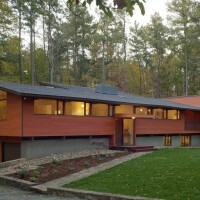 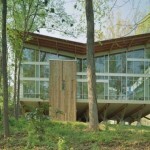 This 1960s-era Deck House built in 1986 is located on a beautiful wooded site in Chapel Hill. 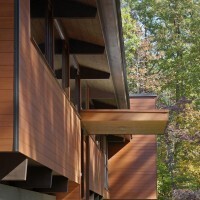 We have transformed it to suit the client’s needs, while maintaining the integrity of the Deck House. 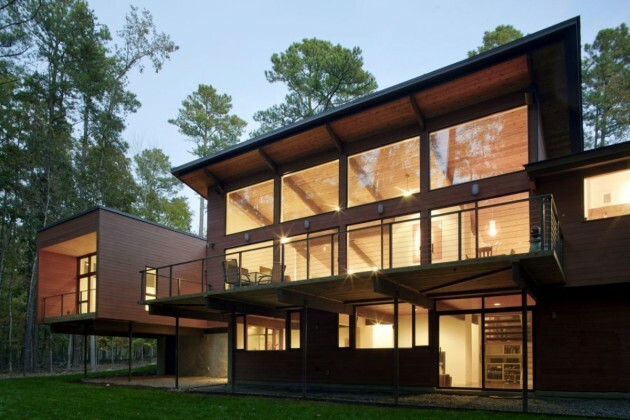 The gable roof portion of the house over the living and dining room has been lifted to the north, creating a two story wall of glass. 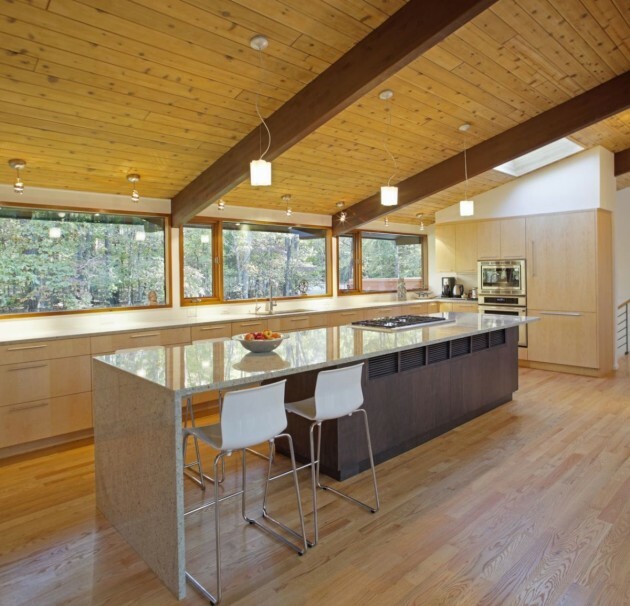 Skylights are strategically located in order to brighten darker areas of the house. 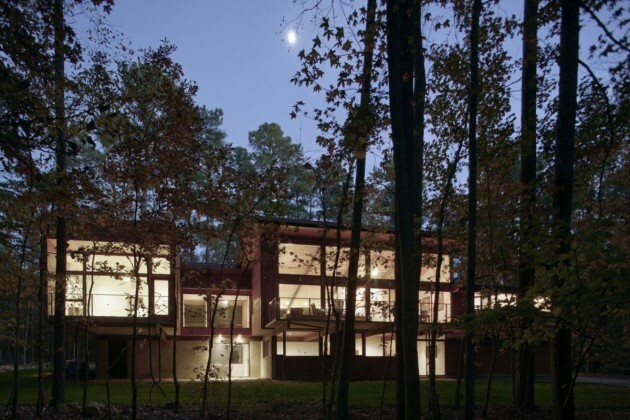 The main house and the master suite addition take on different forms, and they are set apart from one another to distinguish between old and new. 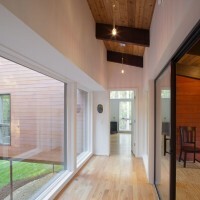 The addition floats above the ground and is connected to the main house by a screened porch and glass hallway link. 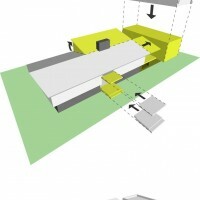 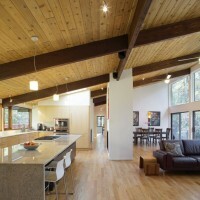 A new entry to the main house was designed in a way that is intended to integrate the two forms.